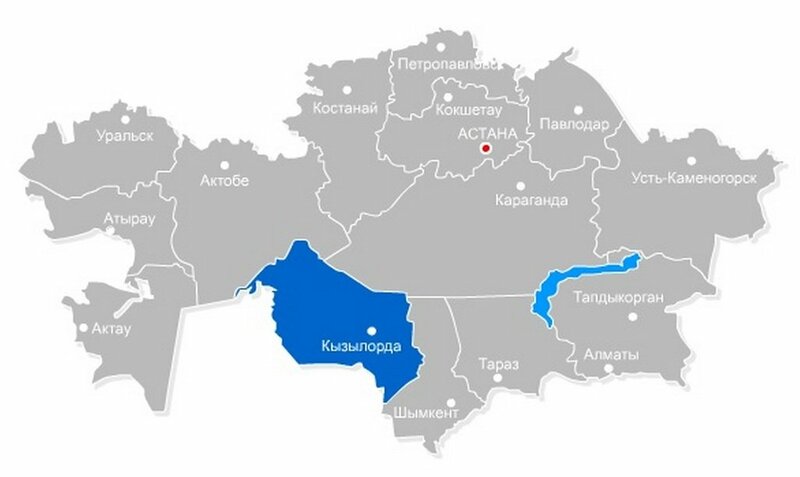 The region is divided into 7 administrative districts and one Kyzylorda city of regional subordination. 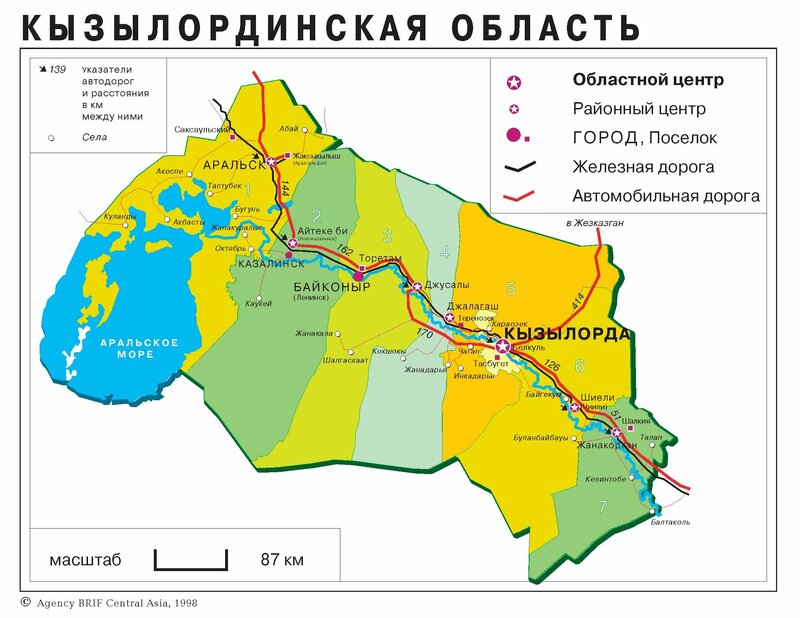 The Baikonur city with cosmodrome (spaceport) is located inside of region, which is under long-term lease by the Russian Federation. The Russian law and Russian currency are used on the territory of Baikonur. International transit corridor Western Europe - Western China with length of 811 km passes across the region. Syr Darya river - the length of the river in the region is ​​1000 km. It originates in the Tien Shan mountain (China) and flows into the North Aral Sea. North Aral Sea - an area 3300 km², the northern part of the Aral Sea. Located in the region, it receives water from the Syr Darya. Airport in 30 minutes away from the city. Railway station - daily sending and receiving hundreds of passengers in all cities of Kazakhstan and CIS countries.